Did you all have a good weekend? It’s Monday again, so it’s time for a new challenge! The flowers are starting to bloom, the trees are green again, it’s obvious, spring is finally coming. I know that it’s normally a little bit too late to plant something this time of year (it’s nearly summer!) but due to the long months of this dreadful winter (who else thought it would never end? ), it’s only now that it’s warm enough. The sun is finally out again, so you can perfectly welcome it with a few hours spend in the fresh air (I don’t know how often I lately complained that I want to get outside again!). I’ve read so much about chemicals in store-bought vegetables and fruits (even the organic ones! ), it makes me not even wanting to eat ‘fresh’ anymore. That’s why I thought that this year, I would try and grow some of my own vegetables. Since I’m only a beginner and I don’t have that much space on hand, I’m going for carrots, zucchini and potatoes. According to my grandparents you only have to put the seed into the ground, water it from time to time and then harvest it in late summer. Sounds totally doable. I’m already really looking forward to cooking and eating my own vegetables! 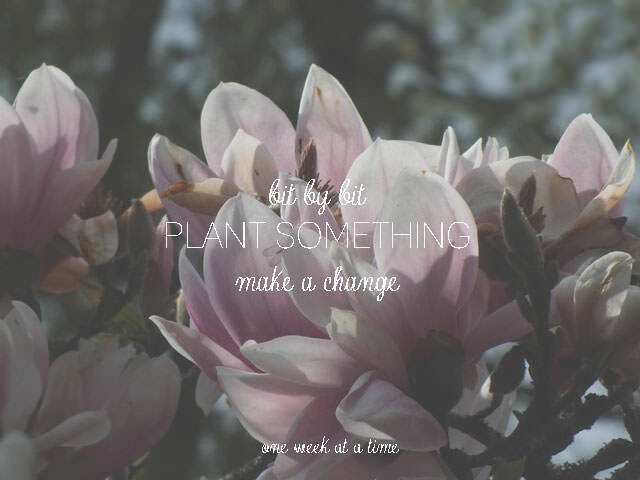 Are you joining me in this challenge and planting something in your garden this week? If you don’t have your own garden, you could always go for some herbs on your window-sill or balcony (my parents are growing some cherry tomatoes on their balcony every year and it works like a charm).